- Of the 20,000 bee species in the world, 90% live alone as solitary bees. - Every female solo bee will lay eggs. - With no hive to defend, they rarely sting. 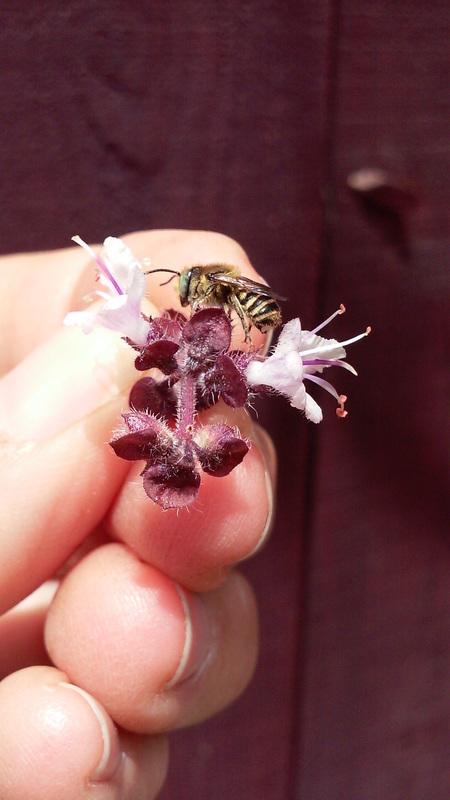 - As super pollinators they are 60 times more effective than honey bees at pollination. - Due to habitat loss and pesticide use they are dying. With over 90% of our food requiring pollination, we need to help the bees. Solitary, native bees can be found throughout the world and in each location they will find a tunnel nest to lay their eggs, usually an abandoned beetle hole. 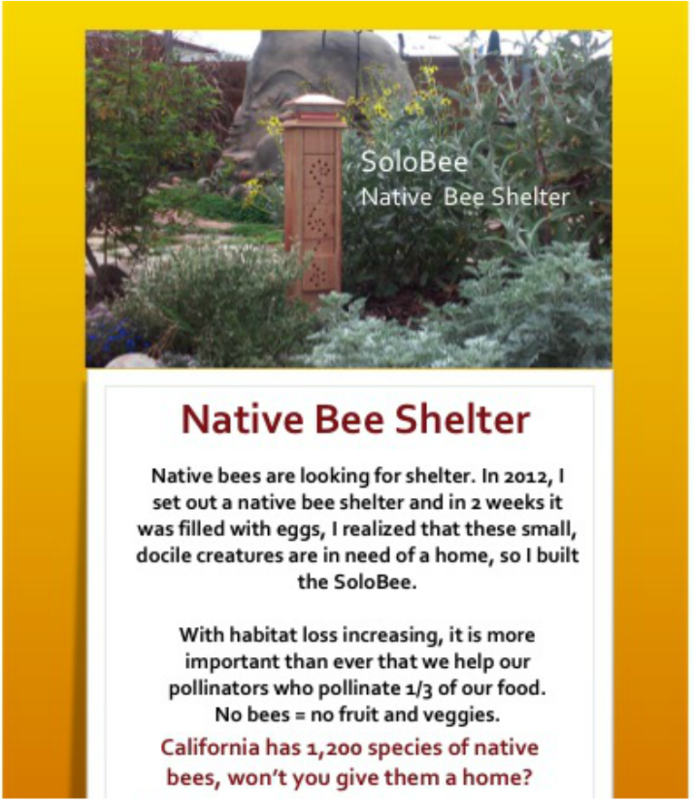 Our SoloBee shelters mimic a wood cavity in nature and provide a clean, safe nests site for each bee. By keeping the tunnel clean after each use you will encourage bees to return year after year. To clean each tunnel simply re-drill the tunnel or purchase a replacement block from us. 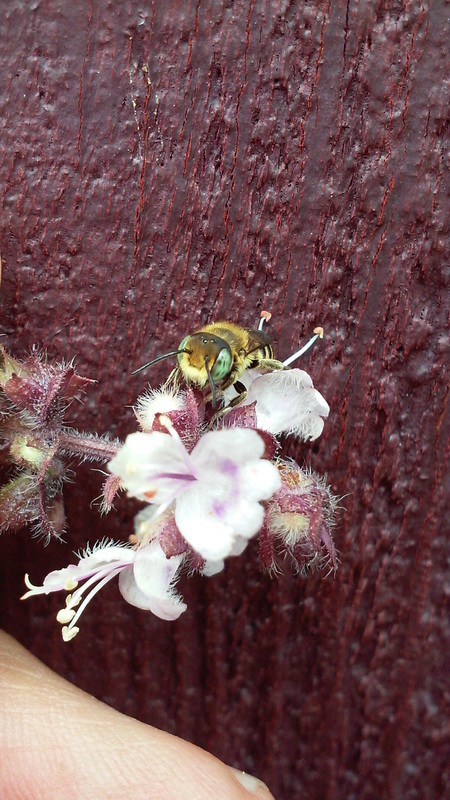 Our shelter is endorsed by native bee experts and entomologist. The replacement nest block system guarantees that bees have a clean, safe nesting site year after year. Leafcutter bee just after hatching.